Online Paid Legal Focus Groups	Online jury focus groups provide case feedback for legal cases of all sizes from jury qualified residents of the case venue. Over 600,000 participants have registered and are waiting for a paid online survey. So why wait? Send in a case summary and let OnlineVerdict do the rest. What is an Online Jury Focus Group? Since 2004, OnlineVerdict has been the leader in online research. Founded by jury consultants who understand the methodologies needed to conduct mock-trials, OnlineVerdict conducts online and live focus groups or mock-trials to provide feedback to attorneys. 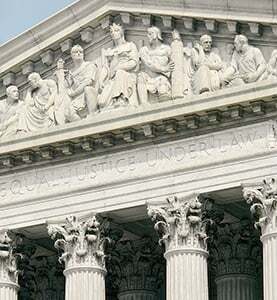 Currently, OnlineVerdict has over 800,000 jury qualified residents in virtually every county in the nation. Regardless of the size of the case or the venue, OnlineVerdict can conduct an online focus group and provide results within 24-48 hours after a case summary is posted. OnlineVerdict also helps design the questionnaire based on its 20 years of experience in the jury consulting industry for a fraction of the cost of a typical mock-trial. If you are an attorney, insurance company, or corporation, and would like a proposal for an online focus group, click here. 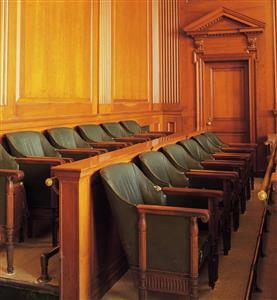 Are you seeking a panel of jurors for an in person, telephone, or online focus group? OnlineVerdict ALSO specializes in recruiting qualified participants to specifications. We have an extremely high show rate 90%+ with high quality participants. We work diligently on finding you the right people to provide feedback. Email adrienne@onlineverdict.com for more information. More Work From Home Survey Opportunities! Below, we have listed companies that we have partnered with that pay cash and rewards for your opinions regarding products, politics, to new services. There is no obligation. If interested, click on the link for more information. Nielsen Computer Panel – click HERE. This is a good opportunity to get paid to use your internet. National Consumer Panel – click here. The National Consumer panel is a panel made up of consumers whose opinions help manufacturers and retailers make decisions on what products to develop or improve and sell in the market. Opinion Outpost – Has been a partner of ours for a long time. Participants get paid cash and rewards for completing paid surveys online. They offer two different options (you can sign up for both): Click here and/or here. If you are Hispanic, register here. If you are Hispanic, for Nielsen, click here. If you are MALE, click here. Panda Research – Earn cash for taking surveys. Click here. Vindale Research – Give your opinions on products and services. Email confirmation is required. Click here. MakeSurveyMoney – Earn cash taking surveys! Sign up with MakeSurveyMoney to get access to surveys, trial offers, and questionnaires that pay out cash for completion. Get paid how you want – gift cards, paypal, or a check straight to your door. I – Say Poll-*NEW Cash in your reward points for giving your opinion on a variety of topics, click here. Chico’s – This is something totally different but a great opportunity if you are interested. E-poll – E-Poll provides a convenient online forum to express your opinions on a variety of issues that affect your daily life. Be armed with powerful information about your case. Online jury focus groups provide a discovery, mediation, and trial preparation solution for law firms and cases of all sizes. Led by expert trial consultants, OnlineVerdict has been the leader in online research since 2004.